We help qualified and experienced professionals find suitable positions within their technical discipline. We make it our business to provide the most appropriate career advice and work tirelessly to assist in your career progression and as such need to gather and use certain personal data and information about both our clients and candidates. This policy exists to ensure safeguarding and to enable all parties to be aware of what data is used and why. Candover Green appreciates the need for a discrete service for our candidates on a professional level, as well as the importance of keeping the personal information of our candidates private. Candidates can be assured that Candover Green will not sell, trade or rent their personal information to third parties. As an employment agency some of the information is supplied to us by third parties (such as job/CV boards), where Candover Green are taking your engagement with their services as a sign of your consent for your information being shared, should we gain information in this manner you will be informed from our first interaction with you as to the source. The personal data that we collect from candidates is necessary to ensure the effectiveness and efficiency of the recruitment process. Any other sensitive data is collected only so far as is necessary to ensure we meet legal requirements, this can include rights to work, identification and criminal convictions. You are responsible for ensuring that all the information that you supply to Candover Green is true, accurate, up-to-date and not misleading or likely to mislead or deceive and that it is not discriminatory, obscene, offensive, defamatory or otherwise illegal, unlawful or in breach of any applicable legislation, regulations, guidelines or codes of practice or the copyright, trade mark or other intellectual property rights of any person in any person in any jurisdiction. 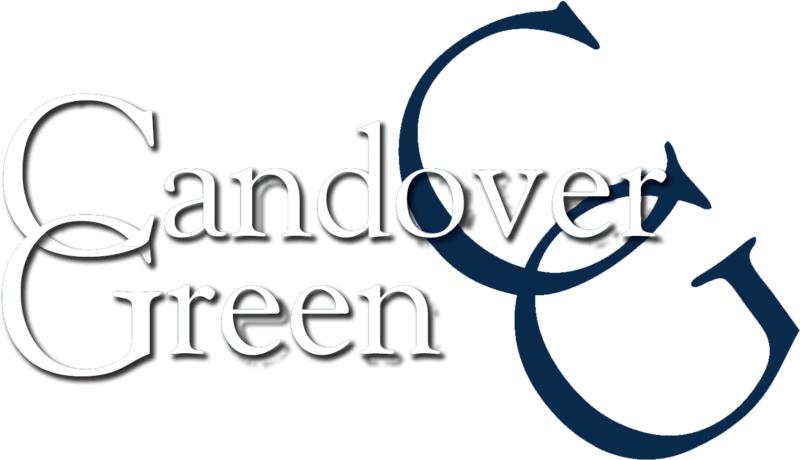 Once you provide your CV/resume to Candover Green it will be made available to our specialist recruitment teams. Unless you request otherwise at the point of registration, your CV/Resume and other relevant information supplied by you may be sent or presented to prospective employers who we deem would be of interest to you, and who we deem may be interested in your skills and experience, but this will always be discussed with you prior to any submissions being made. If you have applied for a specific vacancy (or vacancies) through Candover Green, the information you provide will be used to determine your suitability for the position and, if applicable, your CV/Resume will be presented to the client company with whom the vacancy is based. We will also consider whether your skills would be suited to other opportunities on which we are working and, unless you request otherwise, your details may be presented to additional prospective employers whom we deem would be of interest to you, and who we deem may be interested in your skills and experience, again this will only occur after confirmation with you. Candover Green holds on to the data of clients and candidates for the duration with which it has a purpose and is up to date and accurate and this information is regularly reviewed. Should there be no interactions between both parties (Candover Green and the client/candidate) within a six year time period; the information held will be erased. Candover Green considers every interaction (this includes vacancy applications) as further consent to maintain the data we hold, unless specifically asked for the removal of such information. Under the General Data Protection Regulations (GDPR) every individual within the EU has the right to be fully aware of any and all information held about them and also the right to data erasure. All parties have the right to enquire as to the data held by Candover Green, the reasons behind data held, when and how it has been used and whether you want to be omitted from certain interactions; such as direct marketing, or take up your right to erasure. Should you want to enquire about data held, uses of it or removal of consent, data or erasure entirely you can do so by contacting us on info@candovergreen.com and we will respond as quickly as possible. Your use of Candover Green’s website (“our Site”) is subject to the following terms and conditions, which you are deemed to accept each and every time you use our Site. Candover Green makes every effort to ensure that the information contained on our Site is accurate and complete. However, as some of the information is supplied to us by third parties, we do not accept any liability arising from any inaccuracy or omission, nor any liability in respect of information supplied to us by you. You may not use our Site in any manner that could be in any way damaging to our Site. You may not attempt to gain unauthorised access to any part of our Site, other person’s account, or to any information, computer systems or networks connected to our Site, whether through hacking, password mining or any other means. By accessing our website you will be deemed to accept these Terms of Access to Candover Green’s Website. These Terms of Access may be changed by us at any time. You will be deemed to accept the Terms (as amended) when you next use our website following any amendment.